No surprises here, right? DL readers already knew that the Sony Ericsson Xperia PLAY would be dropping on May 26, but it’s now officially official from Verizon. The device will be $199 on 2-year contract, sports a 4″ screen, slideout gamepad, 1GHz Snapdragon processor, 5MP rear camera, VGA front camera, runs stock Android 2.3 (Gingerbread), and will come loaded with 7 major gaming titles. Pre-orders for the device will start on May 19 (Thursday) and will be available in stores on the 26. BASKING RIDGE, NJ — Take conference calls, send emails and win football’s biggest game, all on one device. 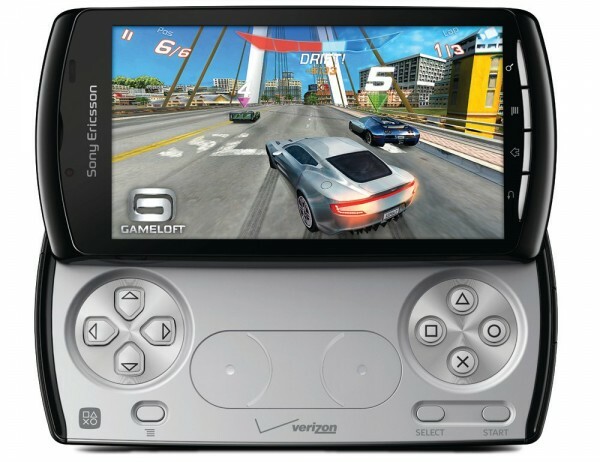 The Sony Ericsson Xperia™ PLAY, exclusive for a limited time for Verizon Wireless, redefines mobile gaming by combining all the features customers expect from a fully-featured smartphone with the ultimate gaming experience. Powered by Android 2.3, Gingerbread, the Sony Ericsson Xperia™ PLAY will come pre-loaded with seven game titles including, Madden NFL 11 (EA Sports), Bruce Lee Dragon Warrior (Digital Legends), Asphalt 6: Adrenaline (Gameloft), The Sims 3 (EA), Star Battalion (Gameloft), Crash Bandicoot (Sony Playstation) and Tetris. Customers can expand their video game library with more than 50 game titles available at launch for download via V CAST Apps. Customers easily become gamers with the slide out game pad revealing a directional keypad, dual analog touch joystick, two shoulder buttons and the four iconic PlayStation® symbol keys: circle, X, square and triangle. The Sony Ericsson Xperia™ PLAY will be available for pre-order online at www.verizonwireless.com beginning May 19, and in stores on May 26 for $199.99 with a new two-year customer agreement. The gaming experience can only get better as additional games are being created. Developers have the flexibility to focus on content and not worry about binary file sizes when submitting apps to V CAST Apps. Developers can visithttp://developer.verizon.com/play for additional information about game development for the Sony Ericsson Xperia™ PLAY. For more information on Verizon Wireless products and services, visit a Verizon Wireless Communications Store, call 1-800-2 JOIN IN or go to www.verizonwireless.com. To learn more about the Sony Ericsson Xperia™ PLAY, visit www.sonyericsson.com. Verizon Wireless operates the nation’s fastest, most advanced 4G network and largest, most reliable 3G network. The company serves 104 million total wireless connections, including more than 88 million retail customers. Headquartered in Basking Ridge, N.J., with 85,000 employees nationwide, Verizon Wireless is a joint venture of Verizon Communications (NYSE, NASDAQ: VZ) and Vodafone (LSE, NASDAQ: VOD). For more information, visitwww.verizonwireless.com. To preview and request broadcast-quality video footage and high-resolution stills of Verizon Wireless operations, log on to the Verizon Wireless Multimedia Library atwww.verizonwireless.com/multimedia. Sony Ericsson celebrates its 10th year as a joint venture between Sony Corporation and Ericsson in October, 2011. Over the years the company has brought together the best communication technologies with superior entertainment user experiences to create its Xperia™ line of the ‘most entertaining smartphones’ in the mobile handset industry. With its global corporate functions in London, Sony Ericsson has sales and marketing operations in all major regions of the world, as well as manufacturing in China, and product development sites in China, Japan, Sweden and Silicon Valley, California. For more information, please visit:www.sonyericsson.com/press.